Dr. Kvitko fixed everything, my smile, the coloring, and now it couldn't be better. Dr. Kvitko and his staff are Superb!! Thanks for giving me back my smile!! A beautiful smile changes everything. It increases your confidence, you get off the sidelines, and you're happier because you feel better about yourself. That's what we want for every patient who walks in the door. 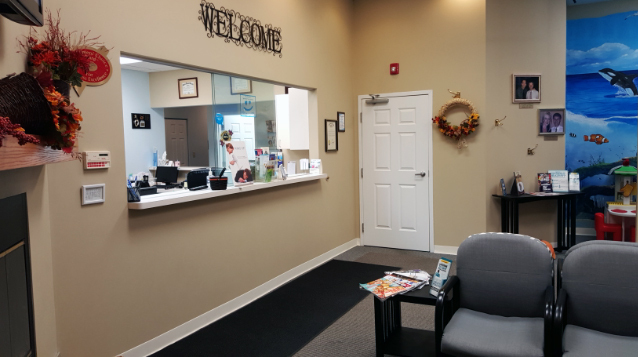 Meeting your needs as a patient means providing the highest quality dental care, but it also means giving you a warm welcome and a comfortable atmosphere while you're in our office. Everyone was very friendly. I'm kind of afraid of going to the dentist, but they made me feel safe. Is a great day at the dentist an oxymoron? Not at Dr. Kvitko and Associates. The staff was very friendly and helpful. The offices were clean, spacious, and nice. The dentist took his time with me and addressed my concerns. I was impressed. Everybody was great, they make me feel very comfortable and are very knowledgeable! Thank you! Dr. Kvitko provides complete dental care. Whether you need to bring your children in for a regular cleaning, you're coming in to get dental work completed, or you're interested in cosmetic dentistry, we handle it all!